Nubia has attracted a lot of eyeballs, of recent, thanks to the launch of the dual-screen Nubia X smartphone. It’s an interesting concept to evade the notch trend and that’s got people talking but it has led a common misconception to surface as well, i.e. Nubia is a subsidiary of Chinese giant ZTE. Well, that’s not true. Nubia did start off as a wholly-owned subsidiary of ZTE, but it had gone independent back in 2015, with ZTE further reducing its involvement and stake in Nubia to less than 50 percent. Now the company’s global team has sent a press statement, ahead of the Red Magic gaming phone launch to clarify the same. While this statement is being circulated to clarify that Nubia is no longer a subsidiary of ZTE, as is a common notion, what stands out is the fact that the Red Magic gaming phone series is coming to India. A source close to the company told us the phone is scheduled to launch in India in early December and that’s really exciting! The Nubia Red sports a 6-inch Full-HD+ screen with a 2160x1080p display resolution, and is powered by previous year’s Snapdragon 835 chipset, which was a huge disappointment when the device launched and will still remain a major talking point during its India debut. This is coupled with up to 8GB of RAM, 128GB of internal storage, and 3,800mAh battery. Coming to the true gamer aesthetic of this device, you get a RGB LED strip at the very center of the rear panel, four grilles for better airflow and temperature control, sharp edges, and a hexagonal fingerprint sensor. There’s also a red and black aesthetic, which makes the device look stunning, along with the customizable red-colored game button. In the optics department, there’s a single 24MP camera (f/1.7) on the rear and an 8MP selfie camera. It runs Android 8.1 Oreo out-of-the-box and includes a ‘Game Boost’ feature that ensures CPU/GPU resources are redirected for gaming purposes. 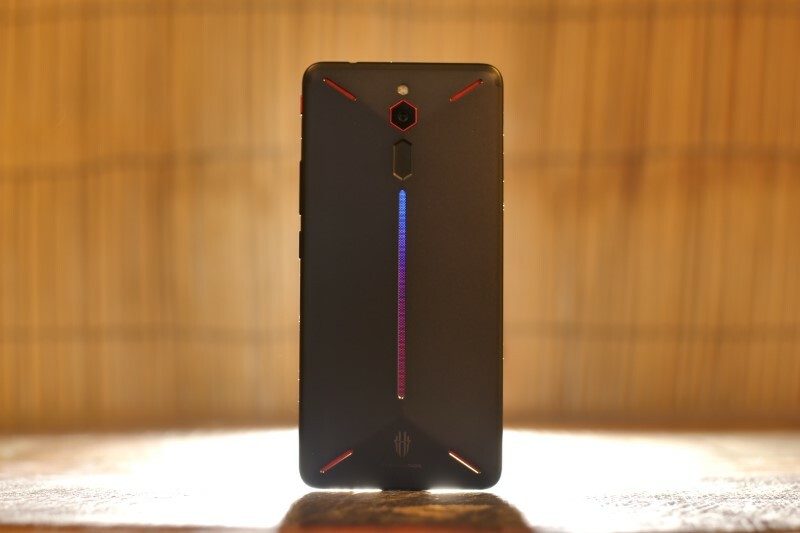 There’s no word on the pricing and availability of the Nubia Red Magic India, however, I expect it to be priced reasonably (around Rs. 20,000) to attract the young gamer crowd. So, would you be interested in picking up this gaming phone? Let us know down in the comments section.